The information on this page is also available as a downloadable PDF here. We are travelling to The Gambia with The Gambia Experience and Titan Airways. We are flying from Gatwick South terminal. We have a 90 minute check in approximately and it will take approximately 2 hours to reach Gatwick. You will need to arrive at 03:00am. This will mean leaving ALNS at 03:30am DON’T BE LATE! 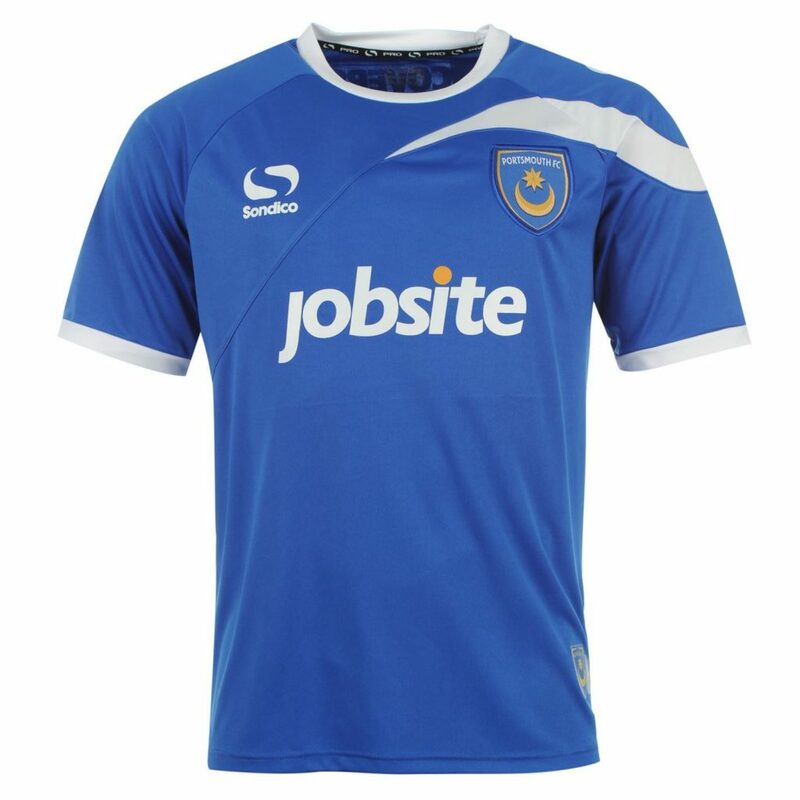 Allowing for baggage collection and travel back we should arrive in Portsmouth at 01.30, approximately Wednesday 17/04/2019. We will be using local coach company Jet Connect to take us to and from Gatwick airport. We will be staying at the Palm Beach Hotel, Kotu on the Atlantic Coast. The accommodation is in twin or triple rooms. 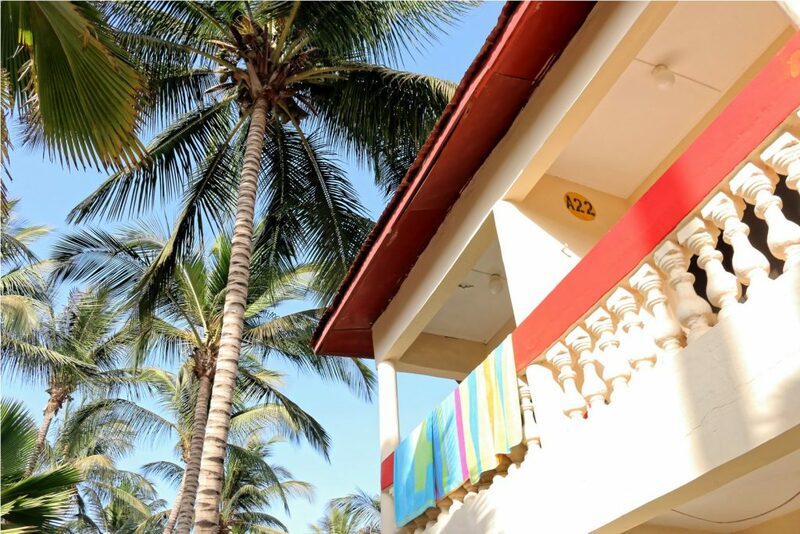 Palm Beach is a simple hotel with a sought after beach front location and friendly, welcoming staff. The public areas are spacious with the pool and neighboring stage being the focal point of the property. The rooms are situated in two storey blocks within mature gardens and are simply furnished. Students will be allowed to walk around the hotel in groups of two or three but not on their own. The hotel is run by an English couple who understand the need for security and their security staff are asked to keep an eye on the students. There are public areas where they can relax and socialise but again they must be in twos or threes. Outside the hotel they will be with a member of staff at all times. We will be escorted at all times by Muctarr Bojang, a former employee of West Africa Tours and current employee of Gambia Experience. We also hire a RNLI qualified life guard trained by the RNLI in the Gambia. He will join us on every trip and every day at the local hotel beach and pool. Day 1 – arrive at the hotel. Brief tour of the hotel and beach area. Meet for dinner and have a group meeting. Meet visitors from the school and tour guides. Day 2 – Crocodile Park and Banjul orientation tour. Leave hotel at 9am on a West Africa tours vehicle. Go directly to Bijilo Park to walk on foot to see green vervet monkeys and walk amongst trees and vegetation. Sensible walking shoes are advised. Leave park to go to Kachikally Crocodile Park. Observe crocodiles and view museum about Gambian life. Day 3 – Leave hotel at 9am. Drive to Makasutu. Walk through the park with a tour guide and learn about flora and fauna. Observe baboons and a variety of bird life. Go on a short boat trip all life jackets supplied and worn by all members of the group. Swim at public pool. Walk back to main entrance to eat lunch. Leave after visiting the craft market. Day 4 – Visit school — Leave hotel at 9 am drive to Brikama to visit Daral Akram School. We will attend an open air assembly and celebration event. Tour of the school and meet staff and students. Tuesday – Second visit to the schools and visit to the beach. Leave hotel at 9 am and go to Daral Akram School. Take part in play activities with primary students. Join in lessons and singing. Leave school to go to Paradise beach. Have lunch and spend an hour on the beach. Day 5 – Rest day! We will swim in the pool. Spend time on the beach. Go shopping at a tourist market. Play beach volleyball and indoor pool/snooker. Day 6 – Leave at 9am drive to Brikama.Visit our tour guide’s home compound and observe the family cook a traditional Gambian lunch. Eat lunch with the family. Visit Sukuta Maternity clinic and share donations with staff and patients. Beach visit as before Paradise beach. Day 7 – Morning by the pool before going to the airport, travelling with Gambia Experience. We wake students between 7-8am depending on the day’s activities and anticipated departure times from the hotel. Then once at breakfast we check everyone is registered and then also that they have taken their anti-malarial tablets as well as having eaten and drunk so they are ready for the day ahead. A brief meeting takes place to discuss the day’s events and what students need to take with them. They are given a time to meet when we take another register to ensure everyone is present. Times of leaving and returning to the hotel vary according to where we have been and the nature of the activities – see above. Students are always with staff or close to staff during the day’s activities. In the evenings we meet together for a meal and discuss the day’s events. There are occasions when we have entertainment provided by the restaurants and hotels we visit. After returning to the hotel students are given some free time to socialise in the public areas in groups. They are not allowed to be alone. Staff make regular checks. Once children have been sent to bed staff again make checks that students are in their rooms and are settling. We then alert the security staff who are excellent and also keep an eye on the students when we are in the hotel complex. Bed time is between 10-11pm. It is an Islamic country and although they are not strict Muslims we need to respect their culture outside the hotel. Underwear – Enough for 7 days and remember it will be hot so you may wish to change more! Swimwear and Beach towel- Not too revealing. Shorts – for inside the hotel and on certain trips. NOT hot pants! Skirts – can be cooler than shorts. Trousers – baggy cotton ones are best for the day. They will also prevent your legs from burning. Jumper/Hoody—it can get cool in the evenings and early mornings. Day rucksack – for trips out and hand luggage, you will need to fit a large bottle of water in it and sun cream etc. Sunscreen- minimum factor 30. Sunblock is recommended too. Mosquito repellent spray—you can also bring plug in repellents for your room. Pain killers/diarrhea tablets – just in case! Any prescribed medication (including anti-malarials) must be shown to Mr Gray before we leave for the airport. Bring extras just in case. We cannot be held responsible for your child’s health without these. ALL MEDICINES MUST BE LABELLED WITH YOUR NAME. YOU MUST GET MEDICAL ADVICE FROM YOUR GP OR A TRAVEL CLINIC FOR YOUR VACCINATIONS AND YOU WILL NEED TO BRING YOUR VACCINATION CERTIFICATES WITH YOU; FOR EXAMPLE YELLOW FEVER. DO NOT FORGET YOUR ANTI-MALARIAL TABLETS! Anything else you wish to bring is up to you but we advise you not to bring valuables. If you choose to bring a mobile phone, camera or laptop/tablet for example you do so at your own risk. Also travel games are recommended so you can amuse yourself especially on the plane and at the airport. A book is a good idea for the plane and longer trips or relaxing by the pool. Before you leave check the BAA website for hand luggage restrictions and what is and isn’t allowed on the plane. Do NOT exceed the baggage allowance. We are fully insured. Details are available on request. There is some mobile phone coverage in The Gambia but it is of course expensive to call and text. There will be a school mobile which you can contact at any time in an emergency. We will discourage phone calls home as this can lead to homesickness but you will be contacted to let you know that we have arrived safely. Limited wifi is available at the reception area. Remember no news is good news! The tap water is drinkable but it is always best to stick to bottled water. 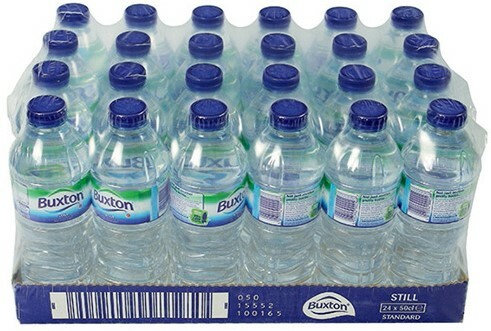 We will buy a litre bottle of water for everyone each day which they will need to drink to keep healthy. 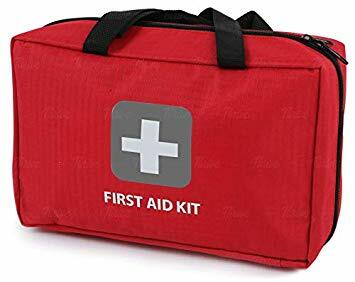 We will suggest different items for you to bring to give away as gifts and donations such as sweets and lollipops as well as medical supplies; anything ranging from plasters to paracetamol. Everyone in Gambia loves football and second hand football tops are really popular! We will also be fundraising in school for the schools and clinics we support. Chris Doherty: Senior Deputy Headteacher is the out-of-hours Emergency Base Contact. Katie Holness: Assistant Headteacher is the out-of-hours Emergency Base Contact.